"UNFORGIVEN is a powerful story of love and grief... done with a depth of intensity that was at times heartbreaking... a fast, well-told story of love and redemption." Deborah Cox writes heroic stories peopled with larger than life heroes, and heroines worthy of the name. 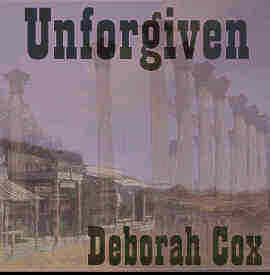 Unforgiven is an exceptional novel which deserves recognition among the best of the genre.